Shabbir Ahluwalia’s take on his participation in Colors' upcoming show Fear Factor-Khatron Ke Khiladi x 3..
Shabbir Ahluwalia the heart throb of many young female hearts is now at his adventurous best as he features in COLORS' Fear Factor Khatron Ke Khiladi *3. 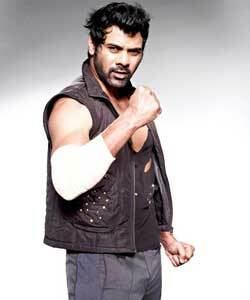 Here is Shabbir in a conversation with us. What is the definition of fear for you? Fear for me would be when the smile from the person's face would go off while performing deadly stunts. You have even hosted a show for the channel earlier, has your good rapport with the channel helped you get into this show? Yes, that could be a criteria. I had hosted a show Dancing Queens earlier for them. Apart from that it could be that the channel found me apt for this show. So working with Colors TV is like a home coming experience for me. Did you intentionally keep yourself aloof from daily fiction? No it's nothing intentional; it's just that after my long fictional series I just wanted a break from the same. I have entered the show to know what my fear is (smiles). I know I'm not scared of heights, but I really want to test myself and see whether I can complete the stunts given to me. The craziest stunt you have done till date? The craziest stunt I have done was when I had jumped off from a sixth floor of a building during my previous participation in Fear Factor that was hosted by Mukul Dev. I have done some stunts but this time it's getting bigger and scarier, so have no idea about the kind of stunts that would be offered this time. So why participate in the same show again? For the simple reason that it is very exciting, and this time the format is new, stunts will be three times tougher than the earlier two seasons. It's like a chain of reality shows that's coming your way, what about it? It's nothing like a chain or something; it's just that I have been involved in fiction shows for the past 6-7 years. Fictions shows always demands an actor to be at his best every day, portray his character perfectly; so after some time a human feels the need to spend some time with himself and during that period good reality shows came my way, and I grabbed them. Any special fitness regime you are following for Fear Factor? From childhood I have been a good runner; I used to run away a lot from my dad. So till date that race is on (smiles). Do you think you will gel well with the co-contestants? Even if we have people coming from different genres, no one is stranger to me. Also when all guys meet there won't be any rapport building problems, instead we would be having lots of fun. Do you think you have an extra edge over others, as you have earlier been part of Fear Factor? No not at all. The show I had participated earlier was more fun based and on a very small scale, whereas this is more tough and thrilling. So I have nothing to carry forward from my past show. From hosting a dance show, to participating amidst a host like Priyanka, how do you see this journey? The journey is still on, as I haven't reached the destination yet. And in the past I have seen 11 girls dancing, and this time our host Priyanka Chopra will see 13 guys dance or rather shiver while doing stunts; so it's going to be equal fun. Has Sarwar pipped Shabbir to the post to play the lead in Keshav Pandit?